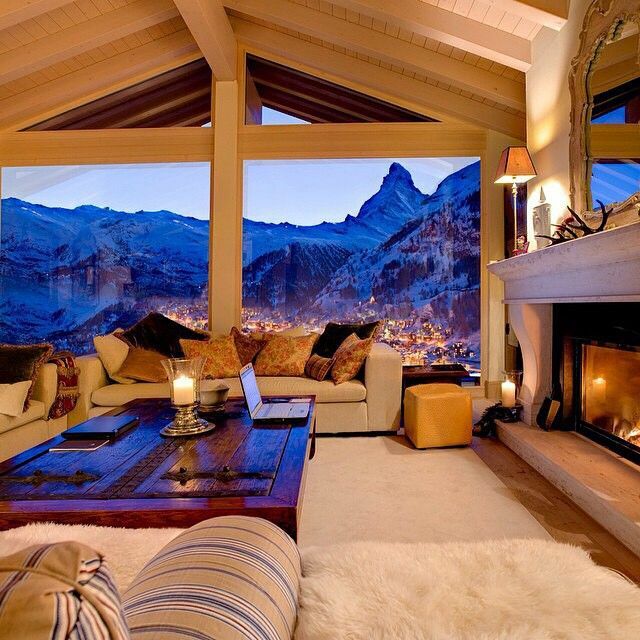 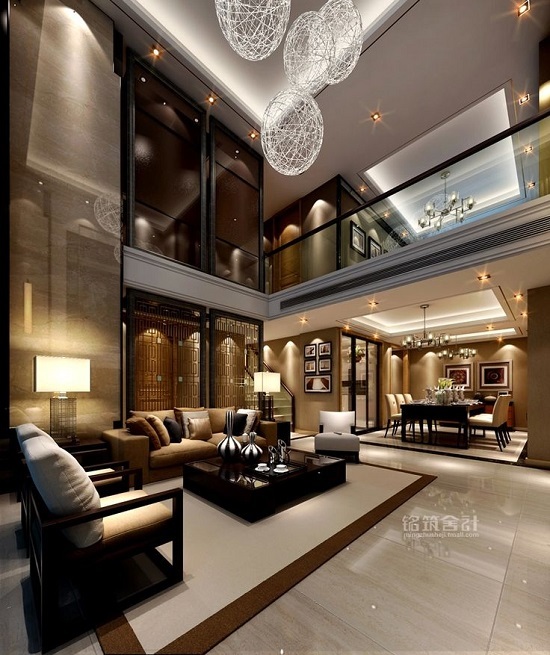 We all have a dream house that has magnificent rooms and luxury at its finest. 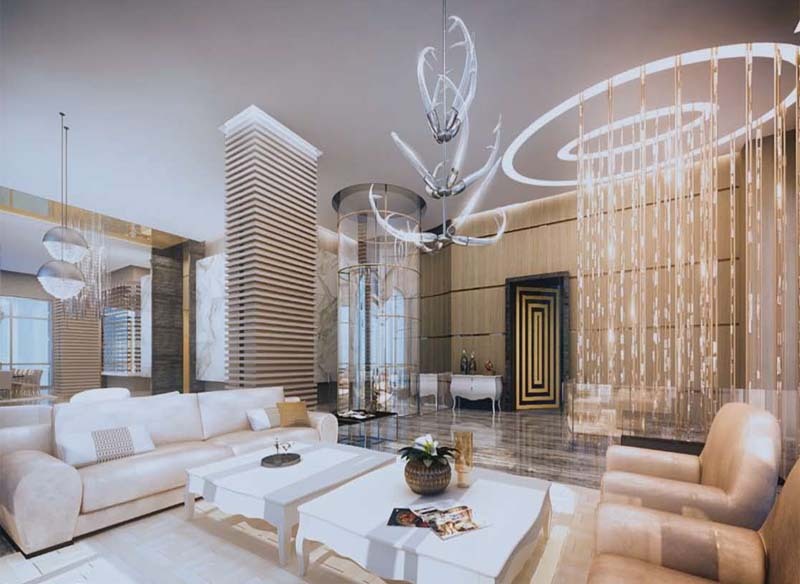 Our world is filled with numerous luxury living rooms that are an example of utmost extravagance and panache; it cannot get any better than this. These living room designs are crafted by elite architects from all over the world, to deliver the best that modern technology and luxury can offer. Every millionaire and billionaire leaves no stone unturned when it comes to comfort and décor of their “cream of the crop” homes. 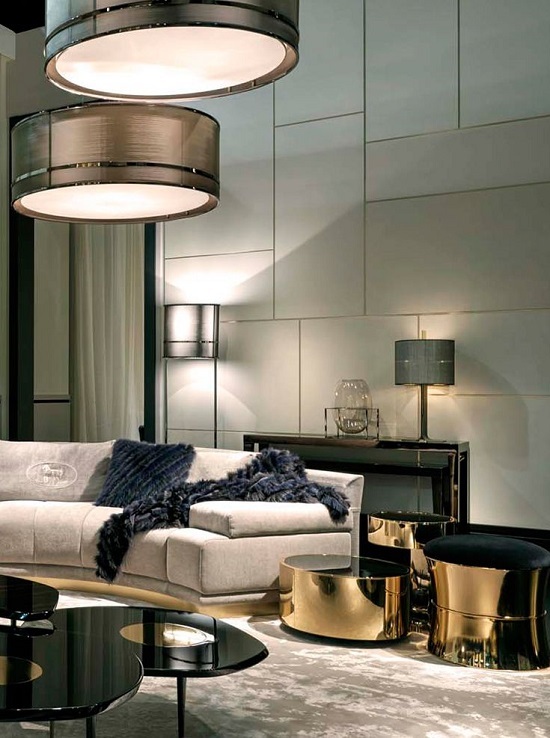 Behold to get your mind blown by these sensational luxury living room furniture and its designs. 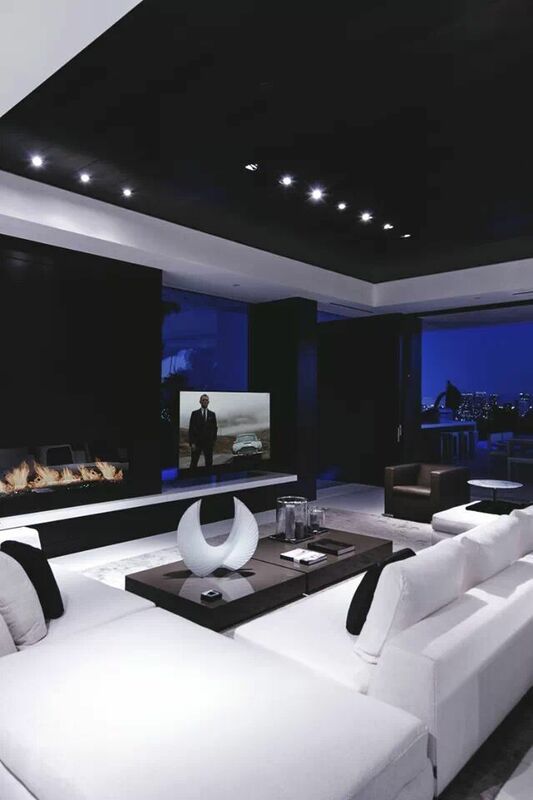 There is nothing more elegant and simple than a beautiful blend of black and white colors. 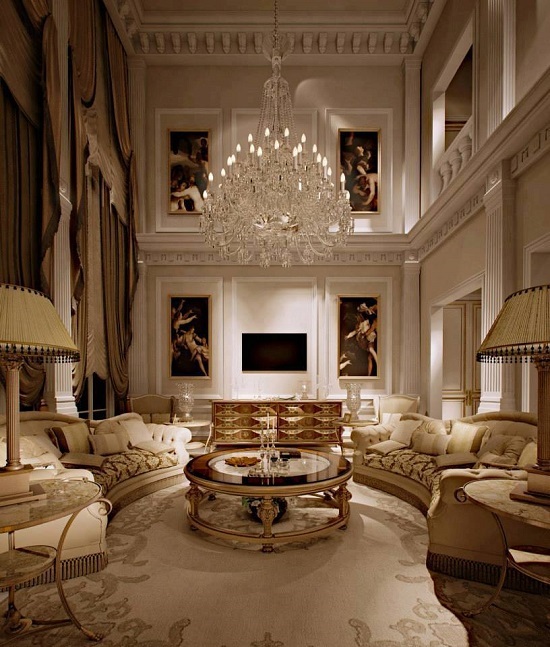 Luxury living room designs are not all about being extravagant; sometimes there is more beauty in simplicity and classiness. 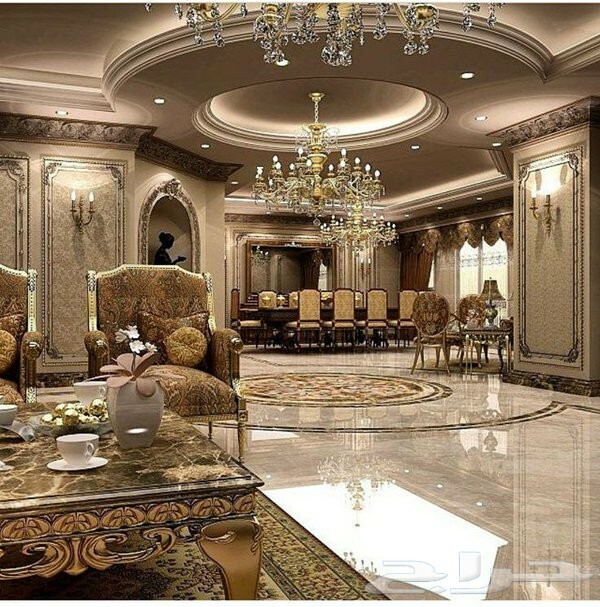 These two colors are a powerful combination and when they’re combined with luxury, it creates massive living room designs that will win your hearts instantly. These luxury living rooms will intrigue your mind and will give your dreams of a beautiful home some wings. 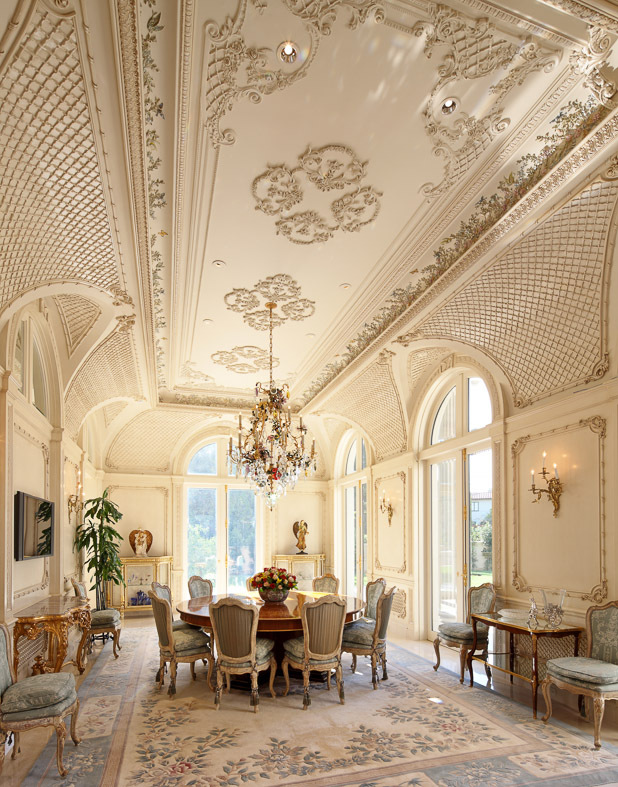 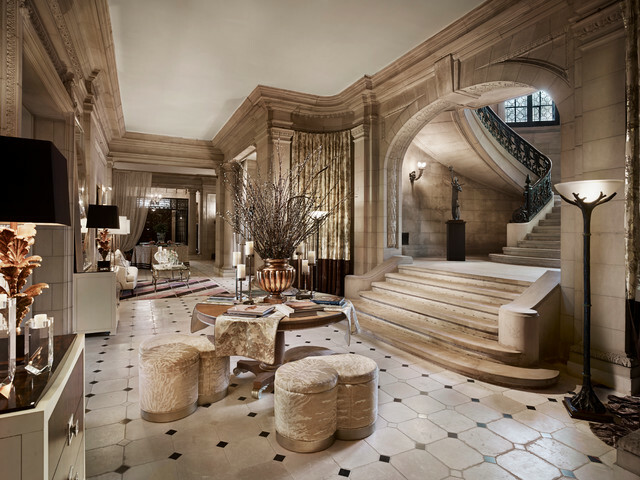 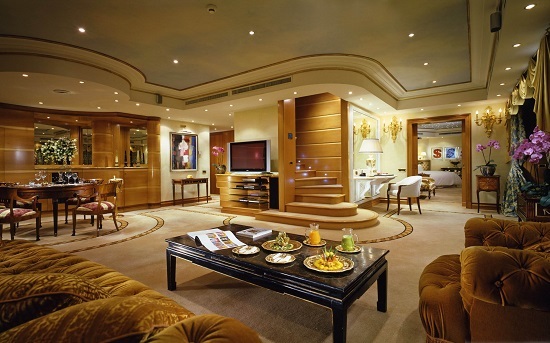 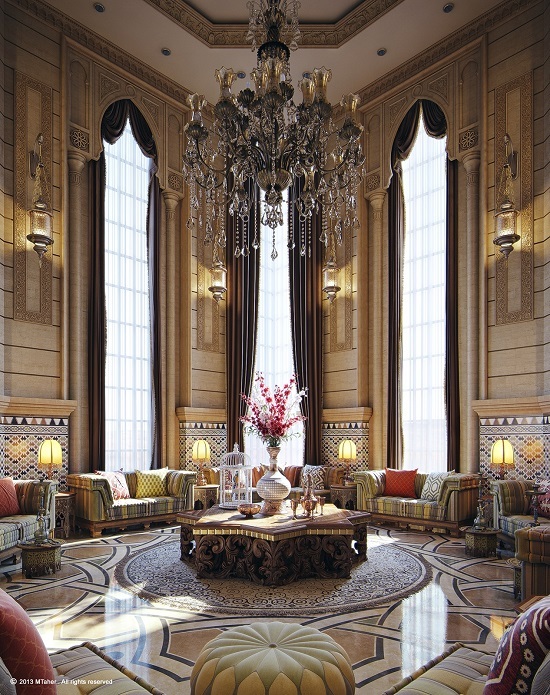 Royal and luxury living goes hand-in-hand! 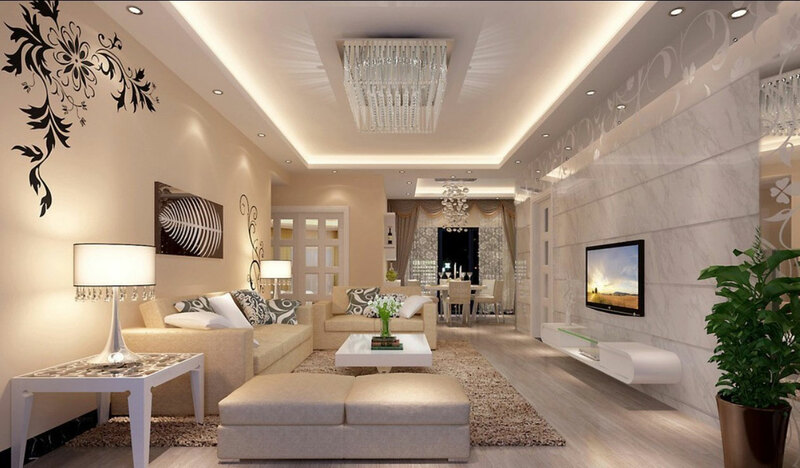 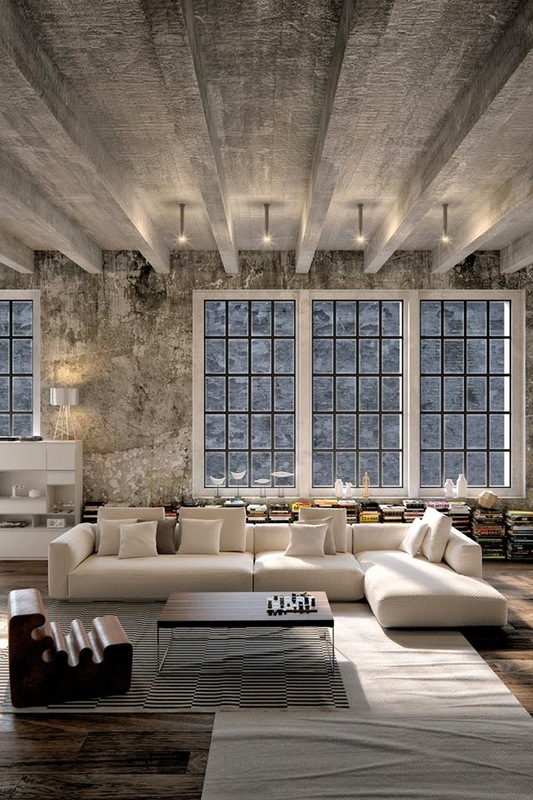 One cannot exist without the other, and this is what these amazing living room designs are all about. 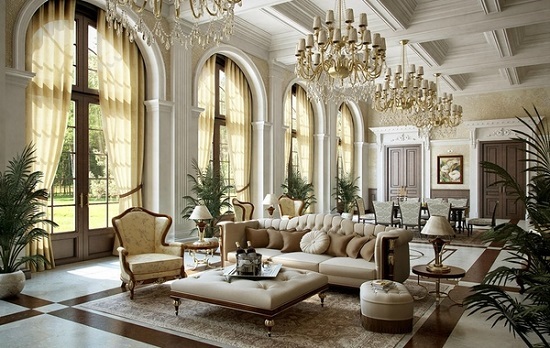 Royal luxury living rooms are a blend of living room furniture sets that are crafted with lavish designs and vibrant colors. 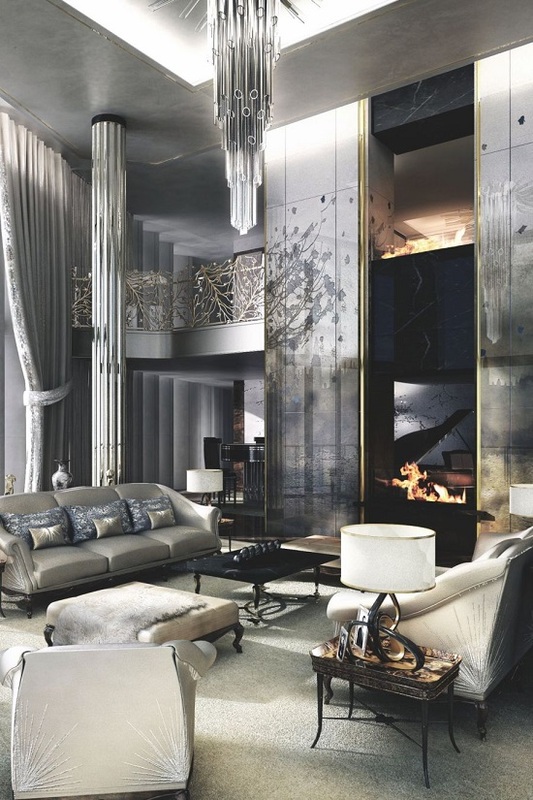 Whether it is red and golden, or white and silver combination, either way these royal luxury living room designs will make your heart skip a beat. 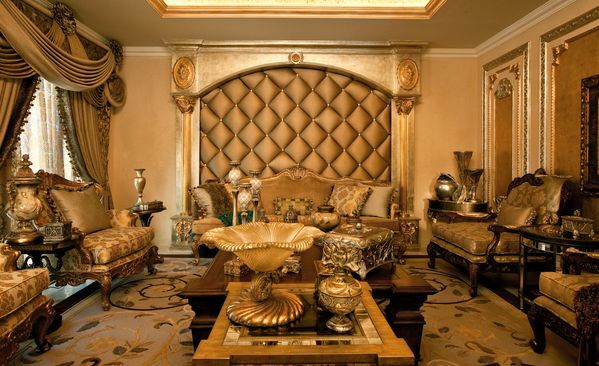 There is nothing more glamorous and stylish than golden, and when it is mixed with extravagant living room furniture sets, things are bound to get lavish. 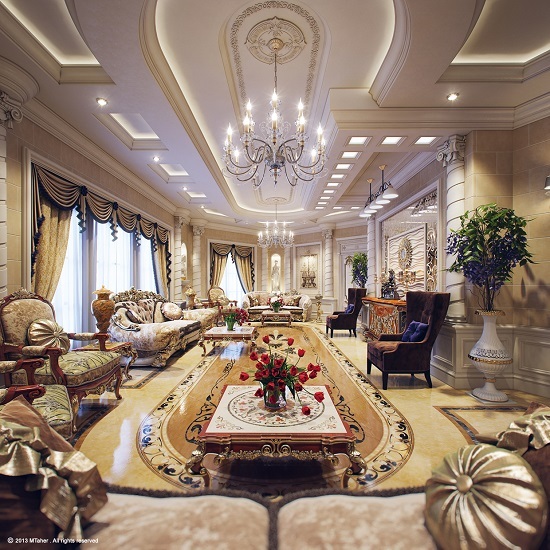 These beautiful luxury living rooms will create a special place in your hearts and give you a glimpse into the world of royal living. 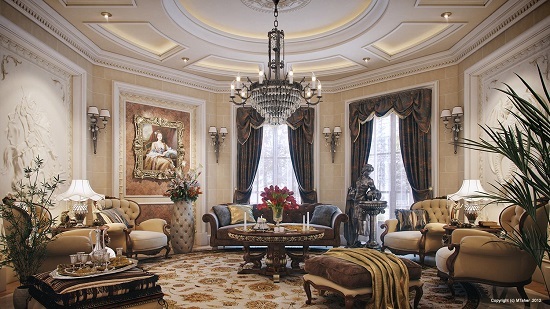 All of these luxury living room designs are crafted with unique architecture and style, which will be a perfect addition to your dreams of luxury living room furniture. Golden shade is known to bring elegance and glittery affect to any area, but it is also a favorite of many rich people, as it is a symbol of royalty and profligacy. 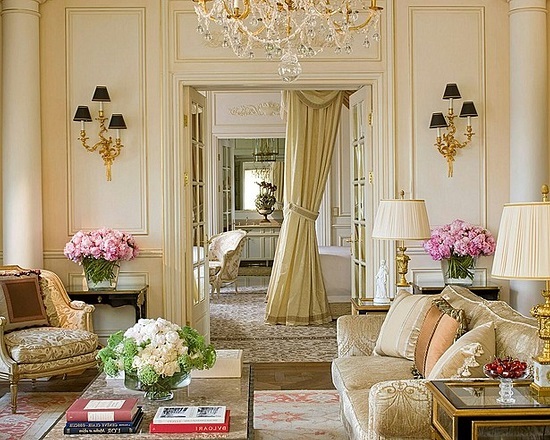 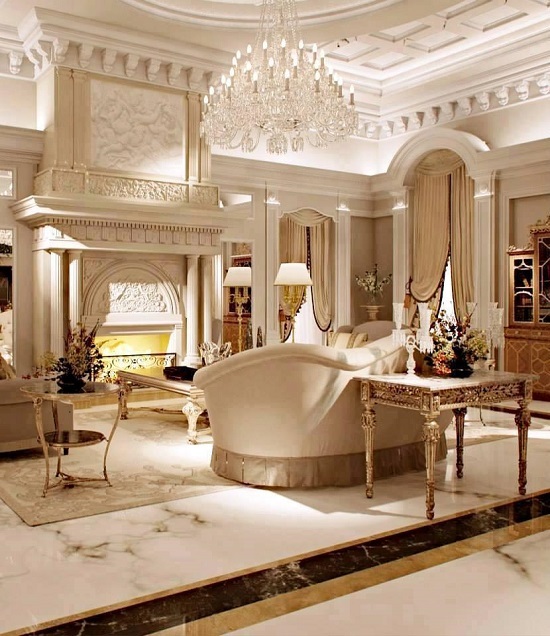 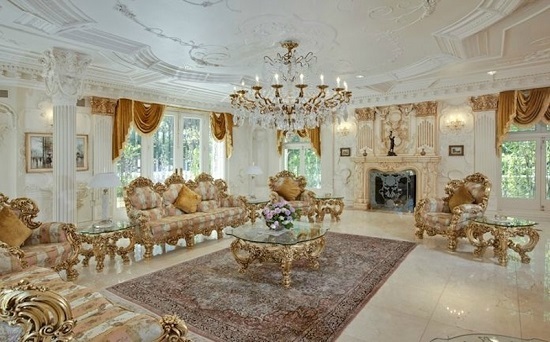 Nothing says classiness more than classic white luxury living rooms. 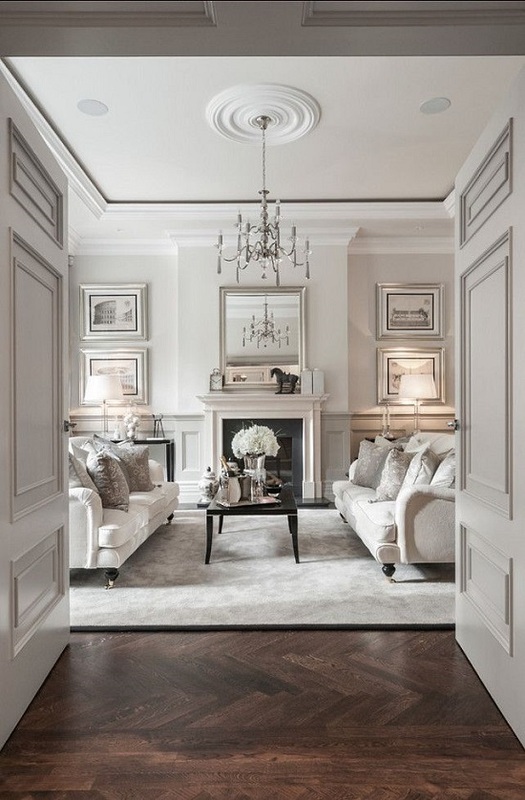 White blends well with other colors, but when it runs the show as a solo color, things take a turn for the best. 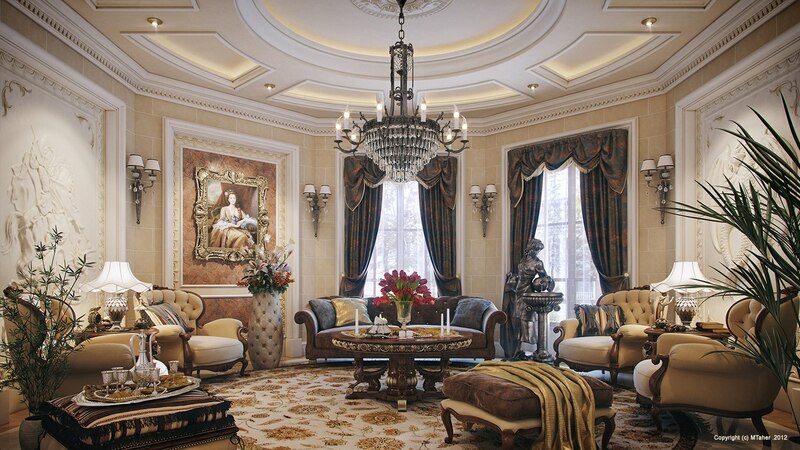 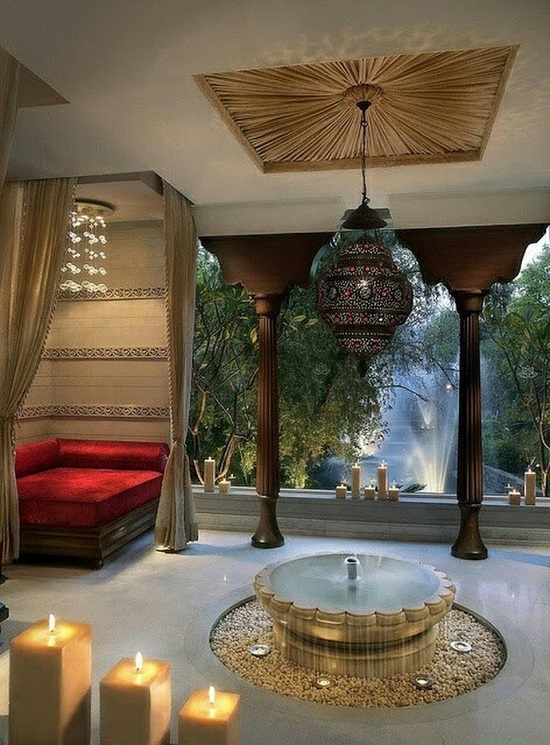 Living room designs that you will encounter in this section will awestruck you with its beauty and panache. 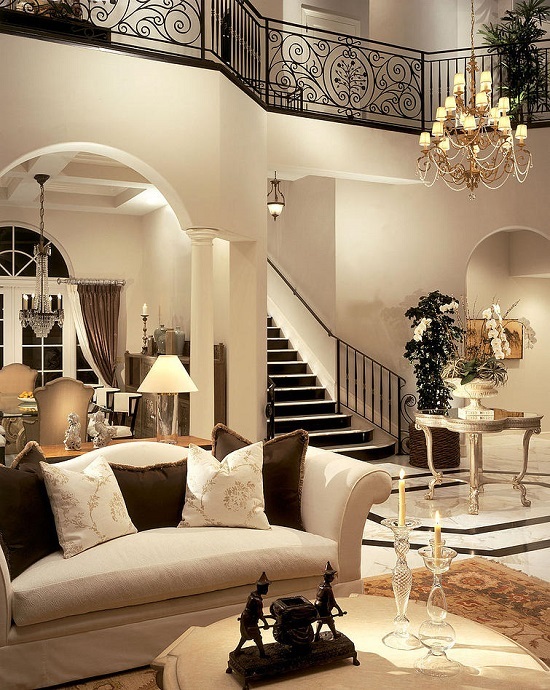 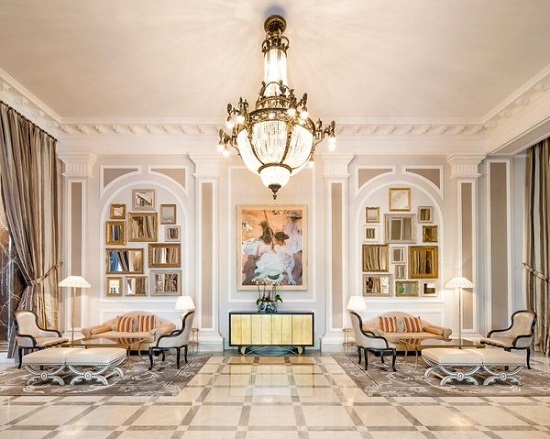 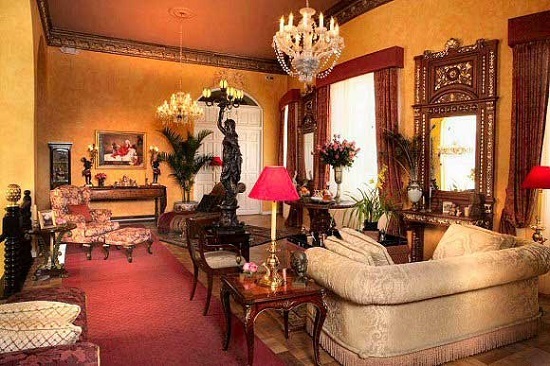 These rooms are complimented by equally elegant luxury living room furniture like crystal chandelier and décor items, which adds more to its overall ambiance. 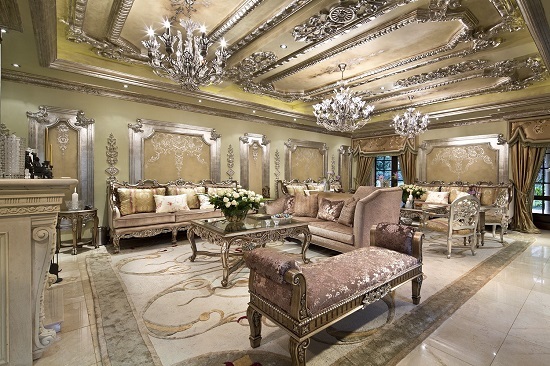 Some are mixed with fur cushions while others are studded with crystal based living room furniture sets, either way all these luxury rooms are a beautiful site to look at. 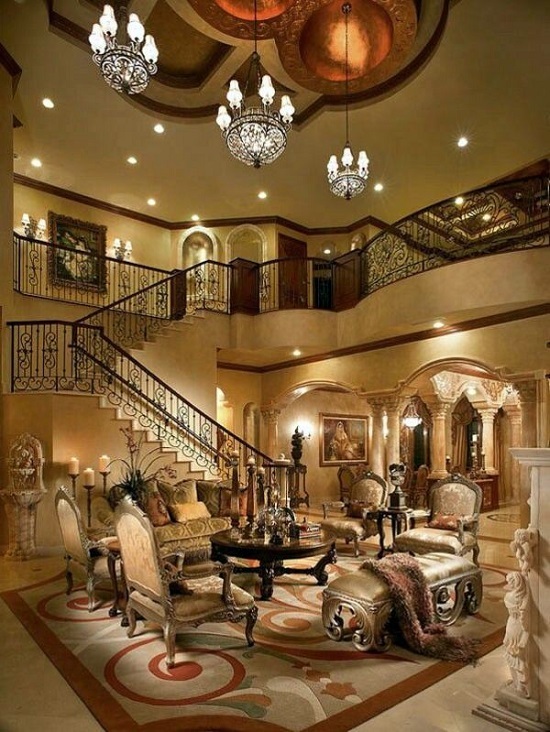 It will be difficult for you to recover from these incredibly beautiful luxury living rooms designs. 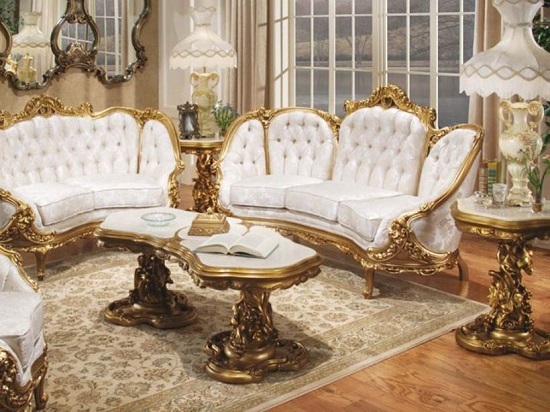 One can only imagine the beauty and extravagant ambiance these living room furniture sets portray in real life.